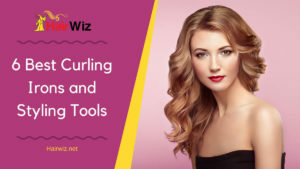 We’ve all seen those amazing ads featuring long, silky hair that just seems to shine effortlessly, but when you’re working a regular 9-5 there’s hardly any time to fix up your hair like that. What you need is a quality hair product that can give you hair that shines without much effort. Hair serum can transform your hair instantly but in order for it to work there are a few things to consider. 5 Conclusion – What is the best hair serum to choose? Just like skincare serums that smoothen your face, hair serum is an important styling tool that targets the surface of your hair, giving it an extra shine. 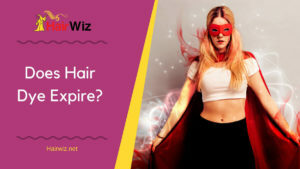 Hair serum can be useful especially when you want to control frizz or protect your hair against harmful environmental effects – and it doesn’t work like hair oils which penetrate deep into the hair structure, instead, hair serum only works on the surface, making it the perfect quick-fix when you’re in a jam. The trick to getting the most from your hair serum is knowing how to apply it. Even the best product can be completely useless if you don’t know what you’re doing – so let’s dive into it and learn more about how to maximize the benefits of hair serum. Manufacturers use different ingredients, and even the slightest difference can change how the serum works for your hair. It’s important that you start by checking the ingredients before you purchase, and make sure you purchase what your hair needs to stay smooth and shiny – and it’s fine if it means trying out a bunch of different products before you find what works for you. This is perhaps the most important thing to mention, because if you’re rushing off to leave the house you might be tempted to use it without washing your hair. But hair serum doesn’t work like hair sprays or other products; instead, it works as a styling agent that also nourishes your hair and protects against pollutants. Therefore, using it on dirty hair will be counterproductive. Start by taking a few drops of the serum in your palms and rub it to allow it to mix, and then starting with the ends, start applying it on your hair. Its important that you target the parts of your hair that need serum the most; the ends. If you start at the roots it might not work as well as it should. 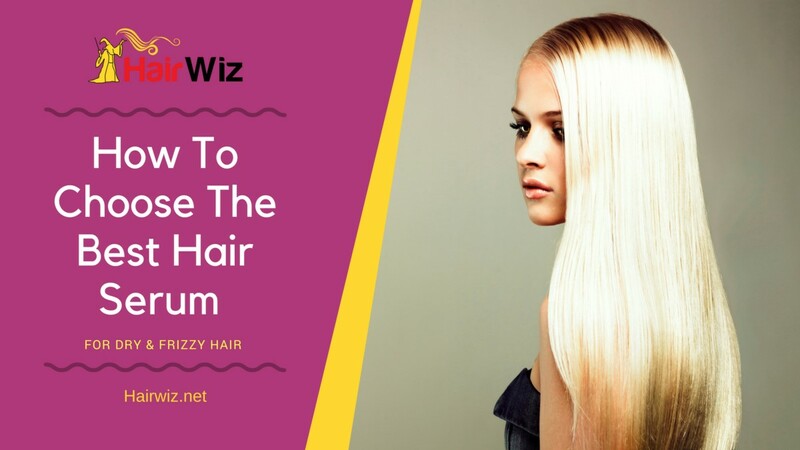 For the best effects, start from the ends of your hair and work up slowly to the head, and try not to rub much of it on your scalp as that will make your hair look oily and greasy. A more practical approach would be to flip your hair forward so it falls on your face, and then target the ends working your way back up to the roots. When you’re done, take a few more drops and apply it all over your hair in general, to give it a more even distribution. When shopping for a good product, you will find that some hair serums are thicker than others. Instead of struggling to work the serum into your hair, you can put a few drops in your palms and take a few more seconds to rub it around your palms to allow the product to break down and liquefy. This will only take a few seconds and can make a big difference especially when using one of those thicker products. The friction created by rubbing your palms is enough to break it down so that it works more effectively. When you’re done applying the product, you can then start to brush your hair to disentangle it. At this point you may consider blow drying your hair to make sure there’s no excessive dampness as this may cause dust to stick to your hair. Another option is to use a hair straightener; but make sure you use it only after applying the hair serum, as it helps protect against heat and chemicals. Don’t go for cheap brands. When you try to cut down on price, you also compromise on quality, and this will definitely have an effect on your hair. If you want to look stunning, be comfortable spending a little more money to get a quality product. Before applying serum, make sure you hair is well dried. Use a dry towel and take your time when drying your hair. The idea here is to use it on slightly damp hair- or hair that has been towel dried, but you can’t use it on dripping wet hair. Don’t let the serum sit on your scalp, instead, distribute it lightly through your hair using a comb or your hands. If you notice that after using a particular brand of hair serum your hair feels dry, you can try switching to a different product and see if it helps. These products are not all the same and it may be possible that your hair needs something different. When using hair serum, make it a point to combine several products to get the best results. Finn a way to include shampoo and conditioner in your routine (good choice would be Virgin Hair Fertilizer), instead of using the serum alone. Don’t use too much hair serum. All hair products should be used in moderation and it’s the same with hair serum; so use only when needed, and don’t apply it in excess. Don’t use it twice without washing hair, as this might cause it to stick like grease, and you may start getting dandruff. Just make a point of washing your hair as you normally do and only use serum for the added boost. We have listen five products that are some of the best hair serums on the market today, and many of them target a variety of hair types, so you should be able to find something that works for you. This hair serum easily transforms dry, damaged hair into a full, shiny mane and it works well on straight hair as well as curly hair. The combination of aloe vera and argan oil makes for a powerful hair treatment, getting your tresses to look soft and shiny within minutes. This Herstyler argan serum is designed to work on all hair types and it hydrates dry hair, penetrates deep into the hair structure, and it doesn’t leave any greasy residue. Argan oil is great on its own but what makes this particular Herstyler serum unique is the combination of aloe vera and Vitamin E (which is good for skin and hair), and the fact that this serum works within the hair structure to nourish and strengthen. Even the most outrageous frizz can be transformed with one application. It makes it much easier to manage locks and transform hair into a shiny, soft texture that’s easy to style and maintain. Easy to use – just rub a few drops on your palms and massage it through your hair. Works on all types of hair. It is heavily perfumed – some people might not like the scent. Can weigh down your hair after continued use. Can make hair greasy if used every day – just twice a week is enough. Moroccanoil is a light-formula hair serum that is easily absorbed by hair to give it a smooth, natural shine. 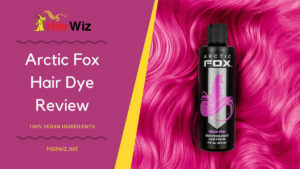 It can be used to restore hair after months of over-processing and the damage it causes, or when your hair looks dull from being exposed to environmental pollutants like dust and too much sunlight. One of the main ingredients in this product is silicone, which causes instant smoothness and silkiness. There are plenty of debates about the pros and cons of different silicones but the truth is they work, and it takes only minutes to smoothen frizz and get your hair to look fabulous. 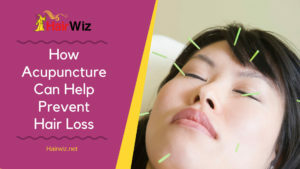 If you hair has split ends, it can also help with that – especially if you go for long periods without getting a haircut. This is a high performance leave-in hair serum that works on split ends and gives hair a shiny, silky look and preserves hair color to enhance natural beauty. It is perfect when combined with hair spray and improves results when flat ironing. It’s a 10 can also be used as a nourishing hair oil or a restorative styling product for when your hair is damaged from using too many hair products or from exposure. Whatever the situation is, it leaves your hair feeling bouncy and soft, and this is as a result of numerous natural ingredients that enhance luster and improve manageability, while also making your hair strong and healthy. For people with extremely fine hair, the best way to use it is to spray the ends, and move the brush lightly through the rest of your hair. If you spray directly at hair roots it can cause your hair to feel weighed down. This is a Kate Blanc’s original cold pressed castor oil that is organically grown, has no preservatives and easily absorbs into hair to promote hair growth. Castor oil is a common ingredient in dandruff shampoo, hair growth serums, and it’s also a skin moisturizer. You can apply this product directly on the scalp, eyebrows, or eyelashes to stimulate hair growth. Use just a small amount before bedtime to give it more time to seep in, and apply regularly to prevent dryness. Castor oil can make your hair look thicker and fuller in a natural way and it has no side effects. The serum is a bit sticky and needs to be applied carefully. This product combines argan oil, avocado, macadamia nut oils, and Vitamins A, C, and E to give you a super effective hair serum that works for all hair types. If your hair is prone to tangling or frizz, then you need a hair serum that you can apply and use when styling your hair, with instant results. Dry hair needs a serum that provides long-lasting hydration, which is what you get with a combination of macadamia nut oils, argan oil, and avocado oil. The vitamins are used to repair hair damage and strengthen individual strands to give you a rich, glossy finish. Conclusion – What is the best hair serum to choose? Hair serum is great for resorting luster and protecting hair from pollutants. When used twice a week, there’s no risk of weighing down your hair or getting a greasy layer of serum on your scalp. The reason for using natural oils as the main ingredient is that they don’t cause any damage even when used repeatedly, and this is important for hair health. Try not to use hair straighteners or other heat producing hair equipment too much as they cause serious damage to your hair and leave it looking dull and lifeless. If after the first application your hair still doesn’t get the gloss you want, you may have to use it a few more times to allow it to recover from long term damage. 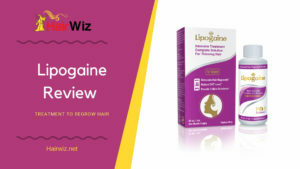 We would also recommend adding Sugar Bear Hair supplements (read review) to your diet – a multivitamin dietary supplement packed with all the essential nutrients you need to have beautiful, healthier, and absolutely gorgeous hair.